We have seeing red nose's everywhere and although we knew it was a charity to help children in need, we knew little else. To find out more we check out Feeding America's website, one of the charities that benefits from Red Nose Day. What we found is that Red Nose day is about adding humor, fun, and entertainment to helping children in need and fighting child hunger. We also found out that only $5 can pay for Antibiotics to treat a child with pneumonia, and only a $1 pays for a meal for a child living in a homeless shelter. 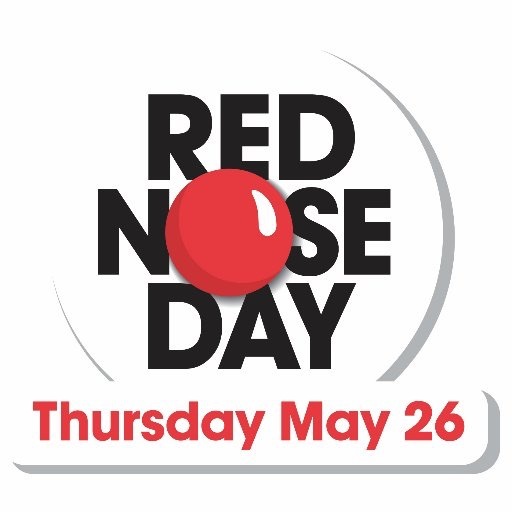 Red Nose Day reminds us that there is so much more we can do and that we can have fun doing it! Well we are definitely ready to get our red noses on and donate tomorrow night, we hope you are too!! Check out some of the details we found on Feeding America's website below. Remember Red Nose Day here in the US is tomorrow!! In addition to Feeding America, the pre-selected charity partners are Boys & Girls Clubs of America; charity: water; Children’s Health Fund; Gavi, The Vaccine Alliance; Covenant House; the Global Fund; National Council of La Raza; National Urban League; Oxfam America; and Save the Children.